There are commonly discounts available to senior citizen and tiny children. Find out by contacting your nearest pool in Kent. Most of the Heated Pools in Kent offer both open lanes for independent swimming and also guided activities like water aerobics or aquabike. The most beneficial pools to swim are undoubtedly indoor olympic pools. Swimming is really a sport for all ages. It helps young people today to tone their muscles and grow healthy and strong. We currently have the following Swimming Pools, but we are constantly grateful for any corrections or contributions. Get in touch via our make contact with form. For Kent and its vicinity, we're showing you all the registered Heated Pools in Kent, some of them have no GPS coordinates and you are not finding them at the map. Whereas Chatham is among the six most populous cities in Kent with nearly 75.509 residents, you shouldn't miss that one if you're going to Kent. Let us let you know a secret to switch off while you are in Ashford: just select a Swimming Pool in Ashford and plunge into the water! There's no more effective method. Without a shadow of a doubt, swimming in Maidstone is the best way to unwind right after work. 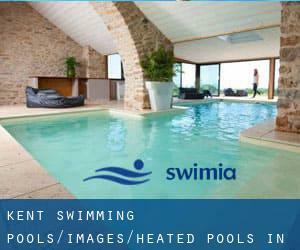 Take a couple of minutes to browse Swimia's catalog to find a Swimming Pool in Maidstone. Holding an estimated population of 101.187, Gillingham is among the most important cities in Kent. Check all the Pool in Gillingham and its surrounding area. It's difficult to visit Kent without having dropping by Royal Tunbridge Wells (with 61.075 residents). Currently Swimia is showing you all of the Pool in Royal Tunbridge Wells as well as the closest pools located in its vicinity. Swimming is a great idea to keep your body active in the course of your visit to Margate (Kent), or even if you are a local. Swimia helps you to find your closest Swimming Pool in Margate. St. John´s Road , Tunbridge Wells , England , UNITED KINGDOM (Postal Code: TN4 9TX). This sports center provides 25 meters, 6 lanes, 1 meters - 2 meters depth, 1 meters - 2 meters depth, Indoors. For this Pool, only phone number is number here. Tower Parade , Whitstable , England , UNITED KINGDOM (Postal Code: CT5 2BJ). This sports center offers 25 meters x 10.5 meters, 3 lanes, 1 meters - 2 meters depth, 1 meters - 2 meters depth, Indoors. For this Swimming Pool, only phone number is number here. London Road , Maidstone , England , UNITED KINGDOM (Postal Code: ME16 0DT). Swimmers like you reported 18 meters x 8 meters, Indoors. Unfortunately we do not have the email address of this Swimming Pool, but we can provide you with the phone number. Updated on 2019 Colne Road , Halstead , England , UNITED KINGDOM (Postal Code: CO9 2HR). Among all the activities offered by the center, in case you are interested in swimming you will enjoy 25 meters, 5 lanes, 0.8 meters - 1.8 meters depth, 0.8 meters - 1.8 meters depth, Indoors. Just in case you want to contact this Pool before dropping by, we only know the phone number. Medway Valley , Leisure Park , Chariot Way , Strood , England , UNITED KINGDOM (Postal Code: ME2 2SS). Among all the activities offered by the center, if you are considering swimming you will get pleasure from 25 meters x 8 meters, Indoors. Just in case you need to get in touch with this Swimming Pool before dropping by, we only know the phone number. Bloors Lane , Cozenton Park , Rainham , Gillingham (Kent) , England , UNITED KINGDOM (Postal Code: ME8 7EG). Swimmers like you reported 25 meters x 10 meters, 4 lanes, 0.9 meters - 1.8 meters depth, 0.9 meters - 1.8 meters depth, Indoors. Phone number and e-mail address are number for this Pool. Updated on 2019 Tannery Lane , Ashford , England , UNITED KINGDOM (Postal Code: TN23 1PL). Swimmers like you reported 25 meters, 6 lanes, Indoors. Phone number and e mail address are number for this Swimming Pool. Updated on 2019 New Hyth Lane , Larkfield , Aylesford , England , UNITED KINGDOM (Postal Code: ME20 6RH). Among all the activities offered by the center, if you are considering swimming you will appreciate 25 meters, 6 lanes, 1 meters - 2 meters depth, 1 meters - 2 meters depth, Indoors. If you need to make contact with this Swimming Pool, email address and phone number are both number. The Pumping Station , Pluckley Road , Charing , England , UNITED KINGDOM (Postal Code: TN27 0AH). Swimmers like you reported 20 meters x 4.5 meters, Indoors. Phone number and e-mail address are number for this Swimming Pool. Darenth Road , Dartford , England , UNITED KINGDOM (Postal Code: DA1 1NJ). Among all of the activities offered by the center, for anybody who is considering swimming you are going to enjoy 25 meters x 13 meters, Indoors. Just in case you need to contact this Swimming Pool before dropping by, we only know the phone number. Eastwell Park , Boughton Lees , Ashford , England , UNITED KINGDOM (Postal Code: TN25 4HR). This sports center offers 20 meters x 8 meters, Indoors. 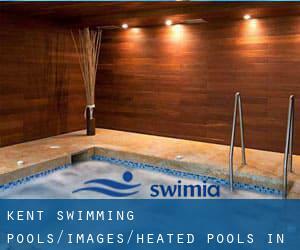 Contact information for this Swimming Pool similar to phone number and email address are number. Updated on 2019 The High Street , Tonbridge , England , UNITED KINGDOM (Postal Code: TN9 1JP). This sports center delivers 25 meters, 6 lanes, 1.2 meters - 3 meters depth, 1.2 meters - 3 meters depth, Indoors. Contact information for this Pool similar to phone number and email address are number. Watling Street , Gillingham (Kent) , England , UNITED KINGDOM (Postal Code: ME8 6ED). Among all the activities offered by the center, if you are interested in swimming you will take pleasure in 20 meters x 8 meters, Indoors. Just in case you would like to make contact with this Swimming Pool just before dropping by, we only know the phone number. Townwall Street , Dover , England , UNITED KINGDOM (Postal Code: CT16 1LN). This sports center gives 25 meters x 12 meters, 6 lanes, 0.8 meters - 3.2 meters depth, 0.8 meters - 3.2 meters depth, Indoors. For this Swimming Pool, only phone number is number here. Buckhurst Lane , Sevenoaks , England , UNITED KINGDOM (Postal Code: TN13 1LW). This sports center delivers 25 meters x 13 meters, 6 lanes, 0.9 meters - 1.8 meters depth, 0.9 meters - 1.8 meters depth, Indoors. For this Swimming Pool, only phone number is number here.